hush and hear its heart. 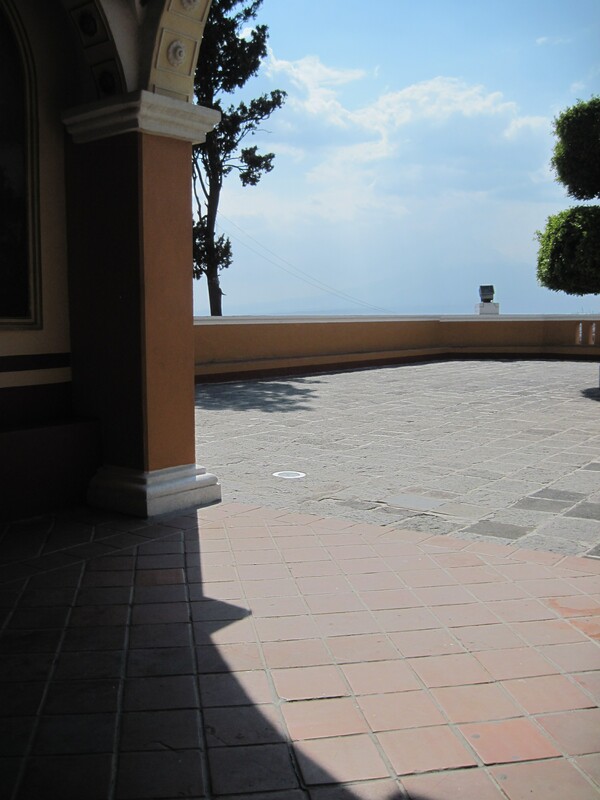 Posted on April 9, 2011, in Cholula, Haiku Heights, Haiku My Heart, Himmelsk, Mexico, my digital photos, my haiku, my senryu, Puebla, Shadow Shot Sunday, Sky Watch Friday, Straight Out of the Camera Sunday. Bookmark the permalink. 40 Comments. Always love your poetry, M. Also, I wanted to ask if you’re interested in reading the New Testament with several of us beginning on Monday. We thought it would be a good way to enter Holy Week, and there’s a plan to read the whole book in one week. However, how much one reads is not the point, of course. More details on my blog in case you feel like joining in. Blessings, M.
The sky looks so beautiful from that shadow…. Terrific capture, lovely words as always! Hope you have a great weekend! I feel beckoned to the edge of this photo. Great shot. Great dark defined shadow, wonderful sky and as always, a great hailu. I like that word nigh. Not used much these days. I’ll look into it. Hope all goes/went well. The shadow must be so welcoming after climbing all those stairs and reaching the pinnacle in the hot noonday sun. Time for quiet, a moment of reflection. Lovely, MMT. Hi MMT … I love it all, the photo and the poem. What I ask from you? Good prost and the sunny day? A perfect combination. Love the shadowy arc! It seems to enchant and invite to stay awhile! And your poem is very beautiful! Beautiful sky, shadows and sunshine! Cool shot for shadow shot…Happy SSS! I like the simplicity of this shot. Well done! Love the colours and stillness of this shot! Great composition! Love your haiku of course! Great shadow shot, love the contrast of the blue sky. lovely view on the stunning blue sky. have a great week mmt!! what a beautiful haiku … so much depth in those words. i would love to see the view from there! I want to explore beyond the edges of this photo. Lovely! I’m with Kelly! Very curious as to what lies beyond the edge…definitely a take me there I wanna go kind of image. Lovely blue sky with the tree behind. The shadow is nicely captured. As always, your haiku is superb. love the shadow and blue sky. I love the line “hush and hear its heart”. Nice Haiku! You are and always shall be my Haiku Master. Beautiful photo too, however in the photo it is the light and sky that beckons..
Great contrast between the hot bright sun and the cool deep shade of the building. I love the composition of this shot. Wonderfully captured. Wonderful photo! And I just wanted to tell you that this week’s poem that you left in your comments “Welcome the Shadows” I think it was called, is fantastic!! I always like your poetry, but this one really stood out to me. Love it.